The same couldn’t be said for María Huld Markan Sigfúsdóttir‘s Oceans, also a world première, the ideas of which could have been lifted straight out of a movie. The title of the work – which the composer claims “came early in the process” but just before the festival was still being listed as ‘new work’, so perhaps was more of an afterthought – seemed arbitrary, entirely unrelated to what was essentially a tired exercise in basic, reheated filmic tropes. This was texture at its most ineffectual and clichéd, and while Oceans had its moments – including one where in the midst of a climax the harmony became complicated and briefly clustered – it otherwise lacked any significant memorable ideas. Similarly problematic was Flutter, a flute concerto composed in 2008 by Þuríður Jónsdóttir, and dedicated to the memory of Messiaen. A hefty work supposedly in four movements, texture was again used here to establish a natural context for the soloist, again full of undulating swells and rolls (plus the addition of field recordings of insects), while the flute, performed by Mario Caroli, progressed from breath to pitch to the kind of frantic abandon of a skylark. On the one hand, there was a growing sense through all this that everything we were hearing was unimportant, as if we were spending time observing something that on the larger scale was essentially uneventful. Yet on the other hand, there was something celebratory about it, perhaps even a mirror of the ‘artless art’ of birdsong and the aloof disinterest of nature ‘doing its thing’ without intentionally conforming to notions of narrative or structure. Perhaps. Either way, Flutter was far too rambling and aimless for far too much of its duration, a situation not remotely helped by the weird pseudo-‘tonic chord’ appearing from nowhere at its end. Metacosmos by Anna Þorvaldsdóttir, receiving its Icelandic première, utilised not only a more convoluted approach to texture but also, as in all her work, a more oblique and abstract response to the concept of nature. The work is one of the more unusual in her oeuvre. Essentially structured as a clear but complex diptych, while the piece features the familiar deep drones quintessential to her music, here they tend to be more implied than present. In the first half, the drone (a low E) is established through a mixture of force and lightness, but is quickly obscured and then lost entirely in a mysterious atmosphere of surges that over time erase all pitch content. A B♭ chord appears from nowhere, the brightness of which implies something positive, though everything becomes blurred and starts to fall, slithering downwards until – extremely understated yet something of a shock when it happens – a melancholic melody emerges, aching and painful. The piece then restarts, but its second half appears to bear the brunt of what happened in the first, opting not to erase but to lash out, the percussion in particular becoming thunderous, which on this occasion seemed to cause the rest of the Iceland Symphony Orchestra to seem genuinely startled. The return of the B♭ chord again seems to offer light, but turns minor and leads to a more lengthy statement of the melancholic melody from earlier, leading to a hushed conclusion surrounded by strange ascending notes. 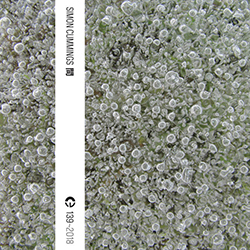 There’s something of the spirit (though not the flamboyance) of Messiaen’s Turangalîla-Symphonie in the sharp contrasts between avant-garde complexity and the simplicity of the twin lyrical denouements in Metacosmos, and it’s to Þorvaldsdóttir’s credit that it works so successfully and so poignantly. Daníel Bjarnason deserves special kudos for clarifying the details of this complex score. 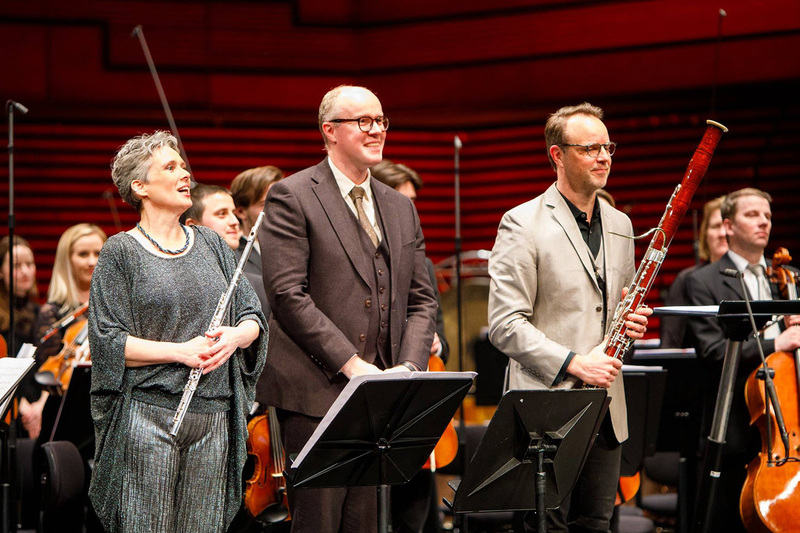 For me, the most imaginative and memorable music of the evening was heard in the first performance of Páll Ragnar Pálsson‘s concerto for flute and bassoon, Crevace. Once again, the programme note spoke of nature, though Pálsson’s invocation of glaciers was darkened through references to their melting due to global warming. If that indicated the possibility of an agitprop concerto, Crevace proved to be nothing of the kind. As in Anna Þorvaldsdóttir’s music, Páll Ragnar’s response to nature was demonstrably abstruse. 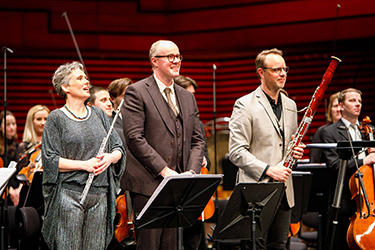 Attention throughout was focused on the two soloists, flautist Hallfríður Ólafsdóttir and bassoonist Martin Kuuskman, whose material regularly shared the same high register. So high, in fact, that it was often hard to believe the effortless control with which Kuuskman articulated the stratospheric notes Páll Ragnar had given him, never sounding remotely forced or strained. The closeness of the relationship between the flute and bassoon was such that they became two complementary aspects of the same part, with the orchestra coming to resemble an extension of this, a discrete layer of connected activity, exploring a continuation or overhang of ideas previously aligned with the soloists. Texture again was emphasised as an important vehicle for expression yet, uniquely in this concert, Crevace was primarily dominated by melody, which endlessly poured from the soloists. 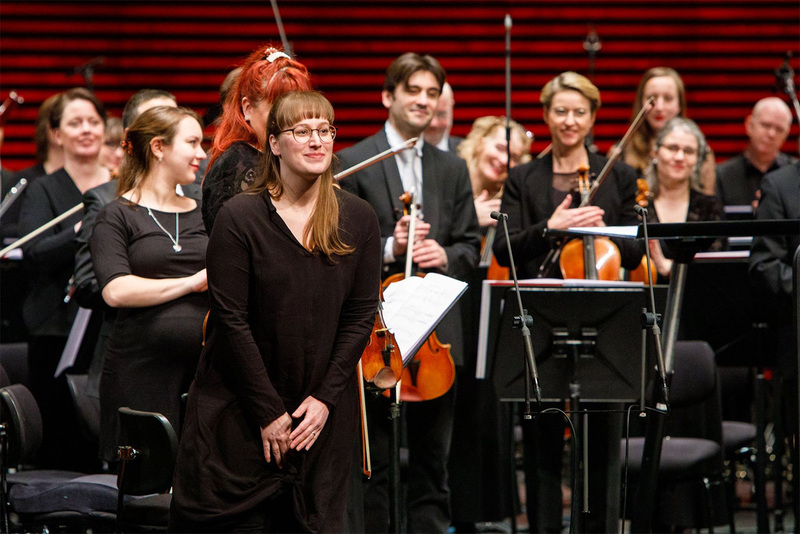 Nowhere was this more remarkably explored than in the work’s lengthy cadenza, which was rendered as an engrossed conversation, Kuuskman and Hallfríður seemingly communicating with each other using a private language established over many years of familiarity. Organic and intimate, flitting between fiery wildness and subdued tranquillity, their dialogue was surrounded with a lambent, vaporous atmosphere by the orchestra, akin to a mandorla. This episode was a paradigm of Crevace as a whole: deeply compelling and often stunningly beautiful. 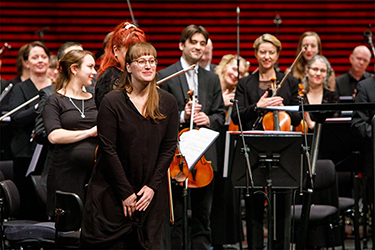 The following morning the Iceland Symphony Orchestra, now conducted by Bjarni Frímann Bjarnason, gave the first performances of two additional pieces as part of Yrkja, a collaborative project aimed at providing performance opportunities for less well-established composers. It made for an interesting epilogue to the previous evening’s concert. Texture again was paramount in Haukur Þór Harðarson‘s Memory´s wavering echo. 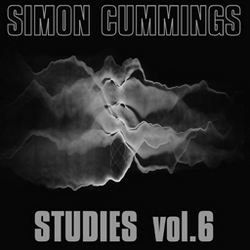 Initially it was channelled into strict episodes, each begun with a percussive accent and followed by various forms of resonance and reverberation. These extensions were unpredictable in terms of detail though united by their underlying behaviour: restrained, slow-moving, often tremulous and with more of the same undulating surges heard in most of the works the orchestra had performed the day before. The latter half of the piece broke this pattern, a single episode expanding seemingly to infinity. Some may have found its avoidance of either assertion or delicacy to be nondescript, not so much texture as (dare i say it) wallpaper; but for me there was something riveting about this, governed by an implied tension that suggested the music’s control was extremely finely balanced. 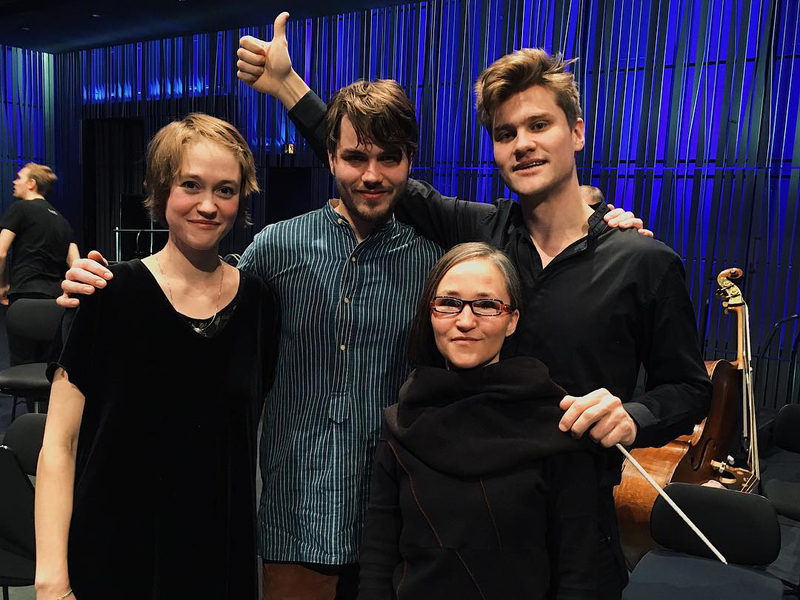 Ingibjörg Ýr Skarphéðinsdóttir‘s O interestingly brought ideas of melody and texture together, the former becoming the basis for the latter. A halting solo viola line was slowly taken up throughout the orchestra until countless iterations could be heard everywhere, overlapping each other in a tight-knit musical fabric, subsequently pushed into a massive climactic pileup. Big brass drones came in the aftermath, over which a lyrical meditation unfolded. The work then abruptly pulled back and restarted, progressing again from the solo viola until it filled the orchestra, followed by another pileup and more brass drones. This modified repeat obviously had seriously less impact than its initial statement, diminished further by an overlong coda in which the solo viola – now moved out of the orchestra to stand immediately in front of the audience – continued at length over an ongoing double bass drone. Taken as a whole the piece seemed lacking in ideas, more like a sketch than a completed composition, yet that opening idea was unforgettably arresting.